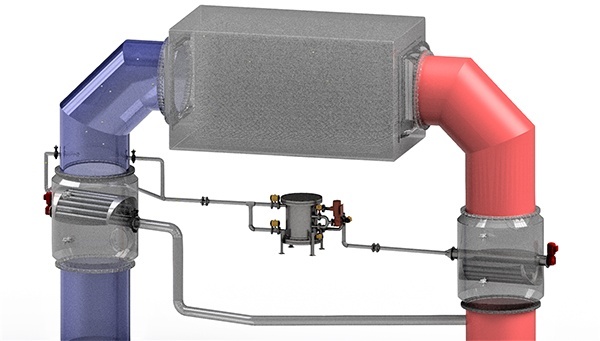 The WTR Condenser Tube Cleaning System (CTCS) is vital for the prevention of micro-fouling from contaminants in cooling water circuits. These systems are used where impurities within the cooling water form scale deposits on inner tube surfaces during the heat transfer process, reducing the heat transfer rate, often requiring a de-rating of the plant output. 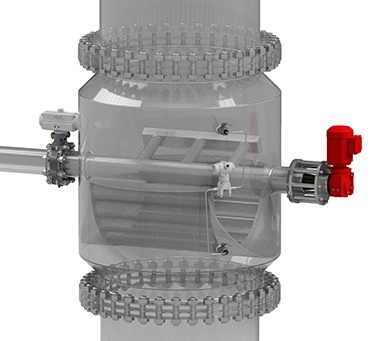 Applications include power plants, refineries, SAG-D, chemical plants, industrial plants, mills, and numerous other types of plants with shell and tube condensers or heat exchangers. Micro-fouling (scaling or precipitation fouling) of condenser and heat exchanger tubes is common due to foulants in the water such as calcium carbonate, calcium sulfate, salts, and lime. Scale accumulation creates an insulation, thus greatly diminishing the heat exchange process. This can lead to an increase in turbine back pressure or create other detrimental effects, depending on the condenser/heat exchanger service. Unchecked, this typically results in shut downs requiring manual cleaning in a confined space. Manual tube cleaning can be time consuming and commonly uses harsh brushes, chemicals, or other costly and laborious cleaning methods. 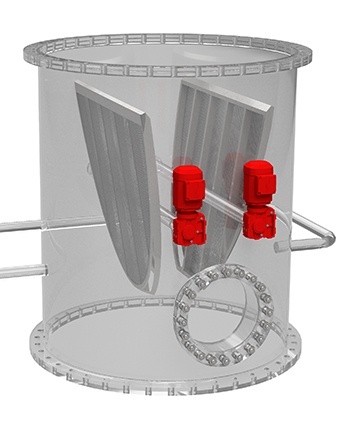 The WTR Condenser Tube Cleaning System is designed to maintain a condenser’s peak cleanliness factor. Elastomeric (cleaning) balls, slightly larger than the tube ID, are injected on the inlet side of the condenser / exchanger. Cleaning balls are introduced in such a manner to promote random distribution. The velocity within the circuit will compress the balls as they enter a tube. The system velocity propels the balls through the tubes, thus wiping the ID to prevent build-up of impurities, silt, or filming. Upon discharge, the cleaning balls are positively captured and retained in the condenser discharge line via a custom ball strainer. The cleaning balls are pumped to a collector for either collection or recirculation. 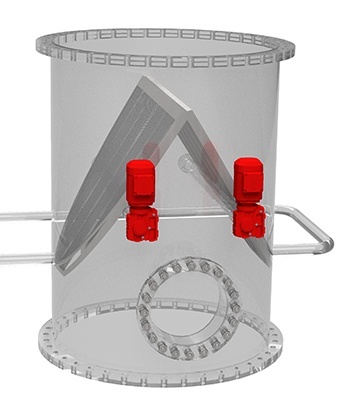 The ball strainer is housed in a shell, flanged to mate with the cooling water discharge lines. Custom lengths, flanges, and arrangements are common. The CTCS utilizes an HMI touch screen control interface, allowing for easy monitoring. Individual or multiple systems may be controlled from a common panel. Other options such as plant DCS control is available. Controls and drives can be supplied for hazardous locations. Pipe connection sizes: 24” to 120” (600mm to 3,000mm).